Linksys 1900 AC router has been defined “without question the most ambitious consumer wireless router networking hardware available” by PCmag.com. It’s a simultaneous dual-band 4×4 Gigabit router with 4 high-performance external antennas for enhanced dual-band communication, maximum signal strength, better coverage and range. 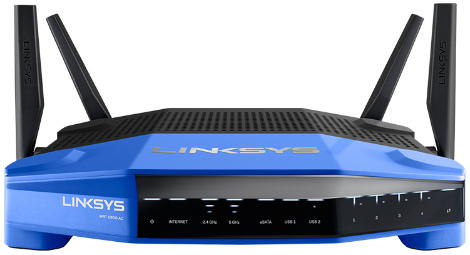 The iconic blue and black design pays tribute to the old WRT series of routers, from the ’90, thanks to which Linksys developed its strong brand. 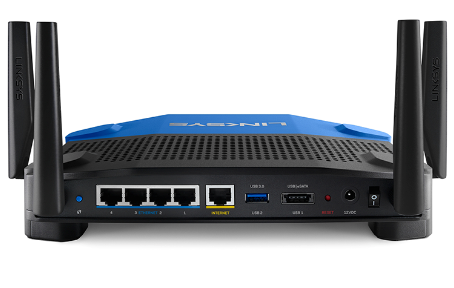 The Linksys WRT1900AC is powered by a ARM-based Cortex-A9 Marvell Dual Core 1.2 GHz CPU processor for unparalleled speed. It is also developed to be Open Source ready. It’s retail price is $ 279, but we found it on Amazon.com at $ 215.